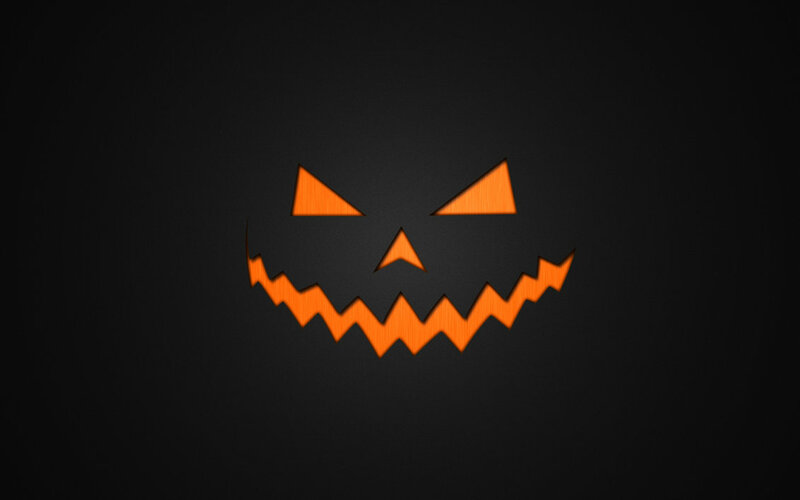 Halloween traditionally is celebrated on 31st October. It is a festival that can be traced to ancient Ireland where they celebrated what was known as ‘samhain’, pronounced as sow’en or swo’een, which was observed to mark the end of summer and the onset of winter. It was celebrated with lighting of bonfires and sacrifices and offerings to the dead. It was popularly believed that the dead would come down in the form of ghosts and spirits. Since the idea of ghosts and spirits moving around freely was a scary thought, people would come out of their houses and light bonfires and stay together. Samhain has undergone many modifications from its ancient Irish origin. It is said that when the Romans attacked the Irish region, the festival underwent modification by adding the worship of Poloma, who was the Roman goddess of trees and fruits and the festival of Feralia, held to pay respects to the dead. Soon the Celtic festival gave way to Christian faith and the 1st of Nov started to be celebrated as ‘All Saints Day’ and Nov 2nd as ‘All Soul’s Day’. Over time, the popular festivals got merged and soon it emerged as a fun-filled festival of Halloween, as we see it today. It was the Irish immigrants who brought the festival to USA where it is extremely popular. 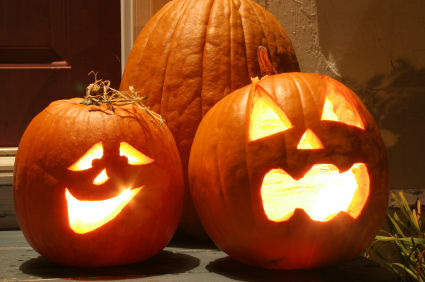 They were also credited with bringing the custom of carving jack-o’-lanterns out of pumpkins. This brings us the interesting story of ‘Stingy Jack’. Once upon a time there was an old man by the name of Jack, who was good for nothing and would be drunk the whole day and play tricks on just about everybody. Once he ran into the Devil himself and tricked him into offering his soul for the exchange of one last drink. The Devil quickly turned into six pence to pay the bartender, but no sooner had the Devil done this, Jack took the coin and put it in his pocket which was next to a silver cross that he always carried with him. The Devil could not get back to its form and Jack would not let him go till he had bargained ten more years of life. After ten years the Devil came to take his soul. Jack agreed to go with him, but requested for an apple from a nearby tree. The Devil agreed and jumped up the tree to pluck an apple. As soon as the Devil was on the tree, Jack placed numerous crosses all around the tree and the Devil was trapped once again. This time Jack bargained that when he died the Devil would not take his soul. The Devil had no choice and so he agreed to it for his release. After many years, when Jack died, he went to the Gates of Heaven, but was denied entry due to his wrong ways when he was alive. Disheartened he went to Hell and asked the Devil if he could enter, but the Devil decided to honour his promise and denied him entry. So Jack was worried as to where could he go? To this the Devil replied, that he could go back where he came from, having the last laugh. The way back was very dark and windy, so Jack requested the Devil to give him some light to find his way back. The Devil gave him some burning embers from the fires of hell, which he placed in a hollowed-out turnip, which was Jacks favourite food, and was always with him as and when he could steal them. Since then Stingy Jack is supposed to be doomed to roam the earth in search of a resting place for his soul with his lit-up turnip trying to finding his way in the darkness. In due course, the turnip has given way to the ubiquitous pumpkin and is now a favourite on Halloween. There are many references of unrestrained mischief during these days, and to bring some method in the madness, a sense of permissiveness was granted and thus some controlled mischief in the form of innocent fun was introduced. Thus today, there are costume parties and children knock on neighbours doors saying “trick or treat” implying, that if they are not given a treat, then they would play tricks or pranks on them. 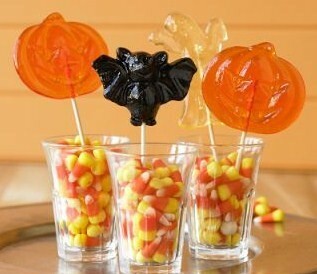 The friendly neighbours then oblige with sweets and candies to ‘avoid the trick’! This way, the trick is orderly and a sense of bonhomie is created without any unwanted and unexpected nuisance. However, the costumes have remained those of ghosts, devils, witches and goblins. The spiritual significance is not lost on people on this day. The children are made to remember their grand-parents and all that they have left for them, in terms of love and lessons. One also pays homage to ones ancestors on this day, and thus besides celebration, the day is also for remembrances. So yesterday on the occasion of Dusherra, Ravan was burnt with all the fanfare and celebration that goes with the victory of good over evil. In my last couple of articles, we have seen that Ravan was quite a good King and his subjects were very happy under his rule. He was also religious, as he was ardent devotee of both Lord Brahma and Shiva. 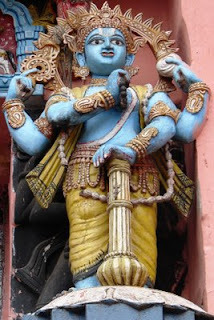 In his previous births, he was in service of Lord Vishnu. Legend has it that when Ram had to conduct a puja before the war with Ravan, the rituals were presided over by none other than Ravan himself as there were no Brahmins in that area. Knowing well, that the rituals were to be conducted against his own self, he followed his duty of a Brahmin well. Ravan is supposed to have parted with his knowledge of administration to Ram before he breathed his last. Ram is supposed to have accepted Ravan as his guru for that brief moment and what we know as Ramrajya (rule of Lord Ram) is nothing but based on Ravan’s knowledge of administration. Finally, Ram had even to undergo penalty for killing Ravan, as killing Ravan was akin to brahma-hatya, killing of a Brahmin, a grave sin in those days. Then why is Ravan still the villain of the epic? Why do we still burn his effigy every year, year after year with such joy and élan? Ravan was the epitome of manhood but in the epic he has been shown as what a man should not be. Despite all the good qualities, the major error in his character was his hubris. He was a walking embodiment of pride and arrogance. In Hindu mythology, folklore, etc. pride and arrogance has been treated with a lot of contempt and has always been looked down upon, even amongst gods. Many a god has been humbled when pride sets in him. Why are we so averse to Pride? Pride and arrogance steals humility from man and when he loses his humility, he loses his ability to distinguish between right and wrong. Ravan had lots of good qualities for which he was awarded with boons and recognition too. But all the virtues are what they are only when they are accompanied with humility and not arrogance. He is a stark contrast to the maryada-purshottam (man among men) Lord Ram. With reference to the epic Ramayana, however vile be the act of Lakshaman in mutilating Surpanakha’s face, the same cannot be justified with kidnapping of another man’s wife, as an act of retribution. What the author of the epic might be trying to establish is the difference between the way of the civilised and the rule of the jungle. What Lakshaman did was not a civilised act, but then Ravan was a King and an extremely educated and well-versed one at that. Where did all the education and knowledge go when faced with a personal crisis of sorts? Was it fair for a King to endanger his entire kingdom for what was apparently a personal problem? A good King and an able administrator must distinguish between what is a threat to his persona as against his nation. It is not that he did not have good advisors – Mandodari, his wife did advise him to give up his claim on Sita and so did many others. But Ravan was consumed by his hubris and thus could not distinguish between what was wrong and what was not. The long and short of it all is, that yes, Ravan was unparalleled in his stature, but such characters whose vision is impaired by pride and arrogance can be annihilated by even a mortal. No matter how virtuous one is, a single vice can be fatal and unpardonable. In Ravan, we see the fatal in abundance and thus all the boons and virtues are of no help during the final act. 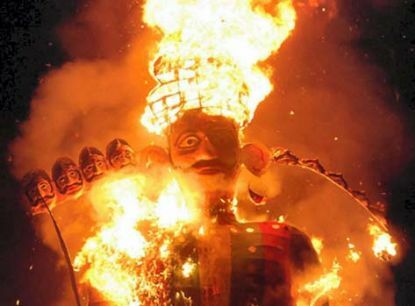 The burning of Ravan’s effigy is not to be seen as burning of the character of Ravan, but burning of the evil in the character. 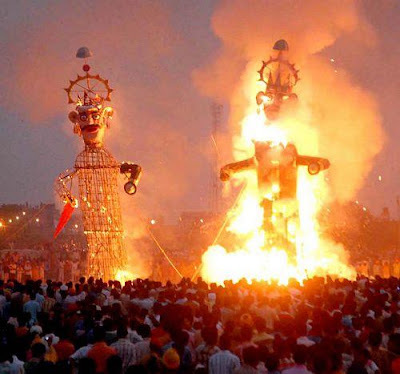 When we burn Ravan, we burn all that’s evil in ourselves and around us. If we are not doing that, then we are simply following a ritual, and not participating in the act. 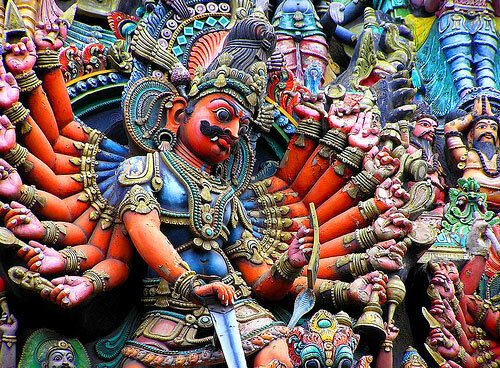 There are a number of temples in India dedicated to Ravan, as a hero; I sincerely hope they are worshipping what was good in him and not doing so as an act of being anti-establishment or anti-Aryan! With this I conclude my series on Ravan. I hope I have done justice to the character who had the capability of heroism in him, but due to a significant error in his character, ended up being an ant-hero in the epic Ramayana. Many scholars have said many things about Ravan’s womanising ways, but that too is a contradiction in the opinion of many. Many have said that though he had many wives, which was probably a norm for Kings in those days, he always respected women. This can also be understood by the fact that his subjects were both happy in his regime and respected him as a King. A kingdom cannot be happy and content, if the women in the kingdom were insecure. Besides, many felt that his kidnapping of Sita, had less to do with his womanising ways or lust for women, than revenge for the wrongful mutilation of his beautiful sister, Surpanakha. However, there are different opinions on this matter, based on different versions. Let us understand this in a slight detail. According to one version, a sage-woman by the name of Vedavati was performing penance to propitiate Lord Vishnu and gain him as a husband. Ravan was moved by her beauty which seemed to have been enhanced due to the penance, but she rejected his advances. When Ravan tried to force himself on her, she is supposed to have ended her life by burning herself. Before dying, she had vowed to be the cause of his death in her next birth. Later Vedavati is reborn as the first child of Ravan and Mandodari. 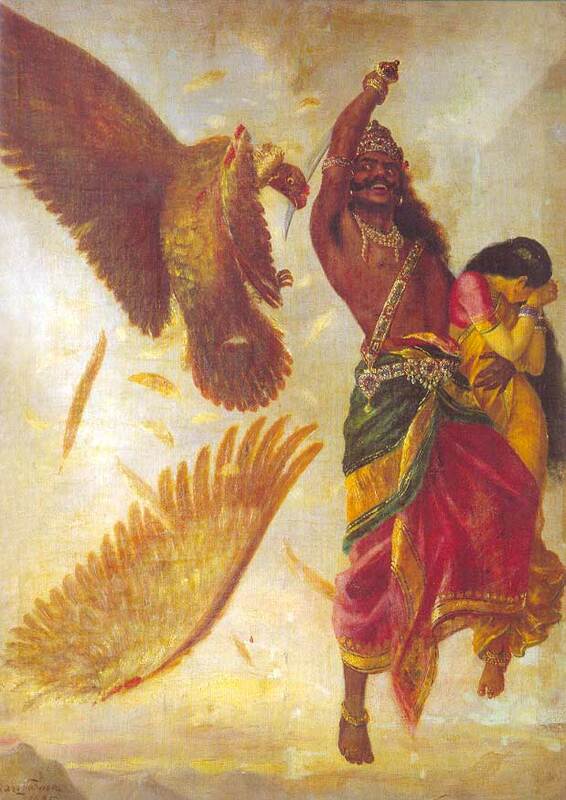 It had already been prophesied that Mandodari’s first born would be the cause of Ravan’s death. On the birth of their daughter, she was ordered to be killed. However, Subahu, who was given the task of killing the child, was unable to kill the baby-girl and abandoned the child and lied to Ravan that he had killed her. The child was later found by King Janak, who brought up the child as Sita (also known as Vedavati, sometimes) and the rest as they say, is history. There is another version of his alleged womanising ways. According to this version, Ravan tried to force himself on Rambha, an apsara, who was already engaged to Kuber’s (Ravan’s elder brother) son. Rambha pleaded to let her go as she was like a daughter to him, but Ravan could not be deterred. Seeing this, Kuber’s son cursed him that if he ever tried to force himself on any woman, then his ten heads would fall of his head. Some scholars also say that it was for this reason that Ravan could not violate Sita’s chastity when she was in his custody, and not necessarily due to his strong character and will, which many of Ravan’s admirers feel. As I mentioned there are different opinions about Ravan’s womanising ways, but his strong will and the strength of character cannot be questioned. Many have also opined that he was well aware of the fact that Sita was his daughter, and it was due to this that he never even touched Sita. His only objective was to avenge his sister’s insult. Or was there some other objective? Once, when Vishnu was in his abode, Viakuntha, there were two dwarpal (gatekeepers) by the name of Jaya and Vijaya. 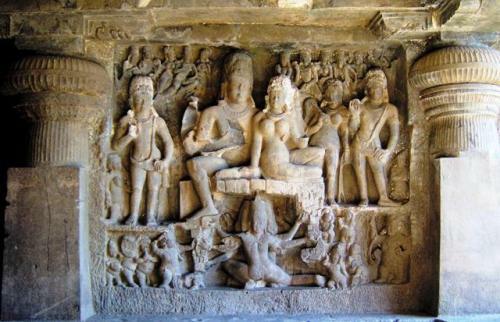 Once when the Sanath Kumars (sons of Lord Brahma, who were born out of his mind, and thus are also known as Brahma’s manasputra) were visiting Vishnu, they were not allowed entry, as the Kumars were in the form of small children, and thus were not recognisable. However, this denial by the dwarpal angered the Kumars and they cursed Jaya and Vijaya that they would be expelled from Vaikuntha and would be born on earth. Vishnu however, agreed to mitigate the curse, after all they were just doing their duty. Vishnu gave them a choice. They could take seven births as devotees of Lord Vishnu or three births as enemies of Lord Vishnu. Jaya and Vijaya chose the option of enemies as this could bring them back to Vaikuntha and serve their Lord earlier than as devotees. In the first birth, Jaya and Vijay were born as Hiranyakashipu and Hiranyaksha, who were killed by Vishnu as Narasimha and Varaha. In the second birth, they were born as Ravana and Kumbhakarna, who were killed by Vishnu as Ram and in the third birth; they were born as Sishupala and Dantavakra, who were killed by Vishnu as Lord Krishna. After these three births, Jaya and Vijaya return to Vaikuntha to serve their Lord. Coming back to Ravana, could his kidnapping of Sita (aka Lakshmi) be a way to come face to face with his Lord Vishnu and enhance the end of his second birth? Is this another case of pre-ordained destiny? Well as they say, gods have their own ways and who are we mere mortals to understand them!! Leela, as they say!! Some time back, I wrote about Ravan’s family (Ravan's Family – Kumbhakarna, Ravan's Family – Surpanakha , ravans-family-meghnaad , ravans-family-vibhishan ). Some of my readers felt it strange that I left out Ravan himself. Was I playing safe and being politically correct? My answer to all is a loud No. I am a great admirer of Ravan as a character who had lots to admire about. A few aspects of his nature were definitely not what can be considered to be ‘popular’, to put it mildly, but even with them, the character of Ravan needs some critical appreciation. Critics might question the timing of this article, especially when the nation is getting ready to burn effigies of this character, but then, man today is more rational than when the rituals started. I am hoping that today we can differentiate between what is good and what is evil and at the end of it all we will burn only the evil and retain all that is good. Ravan was born to a Brahmin sage Vishrava and the Daitya princess Kaikesi (it is important to note that the word ‘daitya’ should not be understood as a giant; this could just be a community during those times, however, strength was a quality with this community as mentioned in the myth). It is said that Kaikesi’s father wanted her to marry the most powerful person on earth, so that they could produce exceptional children. He rejected all the kings, as none were greater than he. Kaikesi then identified sage Vishrava, but unfortunately she had approached him at an inauspicious hour. Vishrava warned her about this as this implied that her children would have evil leanings, but nevertheless agreed to marry her. Thus Ravan was half Brahmin from his father’s side. Ravan is sometimes referred to as Dashamukha, implying that he had ten heads. In mythology, such references are significant. Some sources say that he was so named as his face reflected ten faces from the crystal necklace that his father had gifted him on his birth. A more commonly accepted explanation is that he was so intelligent, that he had the brains of ten people. Under the tutelage of his father, Ravan is supposed to have learned all the Vedas and other holy scriptures. He was also well-versed with the art and crafts of the Kashatriya community. Under the guidance of his maternal grandfather, he was well-versed with all the ethics of the Daitya community. He is also depicted with twenty hands, once again implying that he was very strong or that his strength was equal to that of ten people. He was gifted in music too, and was supposed to be an excelled Veena player. Ravan is supposed to have undergone a severe penance to propitiate Lord Brahma, who pleased with his penance, granted him a boon. Ravan asked for immortality, but Brahma denied the same. Ravan then asked for invulnerability from all gods, and other heavenly spirits, besides demons and all kinds of serpents and animals. It was beyond his stature to ask for invulnerability from humans at that stage of his life (which is why Vishnu had to take the human form of Rama later in the epic). Armed with the boon of invulnerability he was made the head of the Lankan army by his grandfather. But Ravan was not satisfied by just the leadership of the army and so asked for the entire Lanka, which was ruled by his elder brother Kuber. His grandfather suggested to Kuber to concede to his suggestion as Ravan was unbeatable. Though Ravan is supposed to have usurped the throne of Lanka, his subjects were very happy and satisfied under his rule. It is said that even the poorest of the poor in his kingdom had utensils of gold and hunger was not known to anybody. The fact that later poets have called Lanka a kingdom of gold could just be a metaphor for the great rule and life under the rule of Ravan. Ravan was a great devotee of Lord Shiva. Once Ravan tried to please him by trying to take his abode with him to Lanka and in his devotion, he tried to uproot the entire Mount Kailash. Seeing his abode shake, Shiva got irritated with him and pressed him down with his toe. The pinning down was both painful and also a lesson of humility for him. To please Shiva he sang paeans in honour of Lord Shiva for many years. In Shiva’s honour Ravan is supposed to have composed the Shiva Tandav Stotra, a form of dance worship. Pleased with his devotion, Shiva had gifted him the coveted weapon, the Chandrahas (moon-blade), and Ravan became a life-long devotee of Lord Shiva. Next we will read about Ravan and women in his life and his alleged misdemeanours.